Welcome to the University of Wyoming Student Innovation Center. From 3D printers and 3D scanners to Lego and littleBits, this cutting-edge makerspace network is available to all members of the University community. We encourage everyone from students, faculty, and staff to members of the local Rocky Mountain region to create, collaborate, and innovate with us! The CSIC (Coe Student Innovation Center) is a cutting-edge makerspace lab created to foster imaginative, collaborative, and innovative design projects. We’re open to all members of the UW community, from students, faculty, and staff to local K-12 educators and students. At present, the CSIC features fourteen 3D printers, 3D scanning equipment, 3D modeling software, a virtual reality station, a fabrication station with sewing machines and crafts, robotics kits, circuitry kits, electrical test equipment, an equipment repair bench, Lego, and much more! Our makerspace was designed to encourage and build upon project-based STEAM learning at all levels, from K-12 through college. We provide training and workshops on equipment usage, prototyping, and design to all interested members of the UW community, and welcome all tinkerers and creative thinkers! 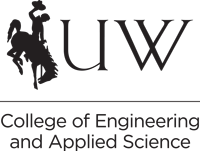 Ultimately, the CSIC seeks to serve as an innovative hub to connect UW students, faculty, and staff to the broader Laramie community. The CSIC is one of two makerspaces on campus under the umbrella of the Student Innovation Center (SIC) makerspace network. To visit our primary website, learn more about either facility, reserve a space or book a workshop, please visit the new SIC website.